An exciting night of undercard action comes to Los Angeles on Saturday, December 10 and is highlighted by hard-hitting unbeaten contender Sergey Lipinets (10-0, 8 KOs) in a 12-round junior welterweight world title eliminator against Australia's Lenny Zappavigna (35-2, 25 KOs) from Galen Center at USC. The December 10 event is headlined by a featherweight world championship showdown between WBA titleholder Jesus Cuellar and former three-division world champion Abner Mares. The live Showtime Championship Boxing telecast begins at 10 p.m. ET/7 p.m. PT with junior middleweight world champion Jermall Charlo taking on undefeated top contender Julian Williams in a matchup of undefeated rising stars in their prime. 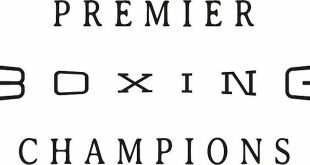 Also featured as part of the jam-packed night of fights are undefeated rising contenders Erickson "Hammer" Lubin (16-0, 11 KOs) in a junior middleweight bout and Mario Barrios (16-0, 8 KOs) battling Argentina's Claudio Rosendo Tapia (24-18-4, 9 KOs) in junior lightweight action. An array of talented fighters from the Los-Angeles area round out the evening as Oxnard's Hugo "The Boss" Centeno Jr. (24-1, 12 KOs) competes in a middleweight attraction, former title challenger Josesito Lopez (33-7, 19 KOs) of Riverside in a six-round welterweight fight and Abner Mares' younger brother, Adan Mares (14-1-3, 3 KOs) enters the ring in a lightweight bout. 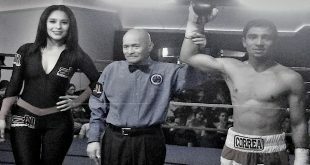 An accomplished amateur who was born in Kazakhstan but fights out of Russia, Lipinets turned pro in April of 2014 with a decision victory over Franklin Varela. 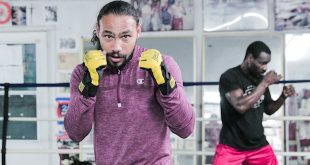 The 27-year-old recorded six knockouts in a row before stepping up in competition and impressing with a victory over Haskell Lydell Rhodes in March 2015 and a knockout of Levan Ghvamichava in March. He kept the momentum going in July when he stopped established contender Walter Castillo in the seventh round. He will challenge the 29-year-old Zappavigna, who hails from New South Wales, Australia and enters this fight the winner of his last 10 contests, including his most recent triumph, a sixth-round stoppage of Ik Yang in July. 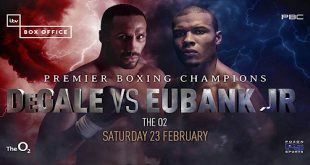 A highly regarded prospect with an exciting style, the 21-year-old Lubin burst onto the scene looking to finish opponents early as he cements his status as an elite contender. Fighting out of Orlando, he has already taken down experienced veterans including Orlando Lora, Ayi Bruce, Michael Finney and Norberto Gonzalez. He was sensational in November 2015 when he knocked out Alexis Camacho and in January he headlined his first card and dominated Jose De Jesus Macias in his first 10-round bout. He has kept the hot streak going in June by stopping veteran Daniel Sandoval in the third round and dominating veteran Ivan Montero in July. A tall junior lightweight at more than six feet, the 21-year-old Barrios picked up seven victories in a jam-packed 2015 in which he stopped five opponents inside the distance, including an uppercut left hook combo that ended the night for Manuel Vides last December. The San Antonio-native turned pro in 2013 and is on the fast track towards a world title shot as he most recently defeated Devis Boschiero in a title eliminator in July. Now he looks to stay unbeaten in a matchup against Tapia, who comes from Mendoza, Argentina.